Pre-heat stove to 350 F (180 C). Prepare your muffin pan with cooking spray, and add paper cups. In a mixer, beat the butter, then gradually add the sugar and honey. Add the egg to the mixture and beat. Stop the mixer, and add the condensed milk and rosewater. Pour into muffin cups. 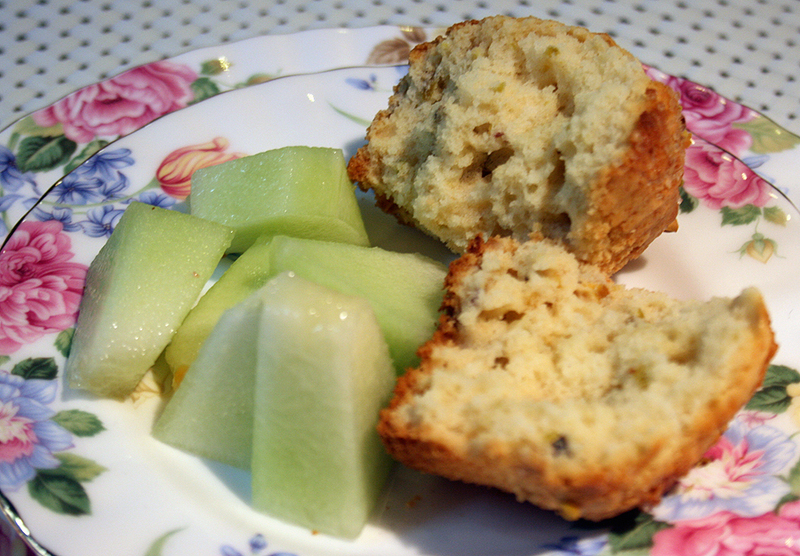 For a nice crunchy top, add decorating sugar on top of each muffin before baking, and bake for 20 minutes.